Chabad's founding representative in Santa Monica, Rabbi Avrohom ben Yitzchok Isaac Halevi Levitansky, died on Sunday, 27 May. Raised in Chicago, Rabbi Levitansky was the first emissary ("shaliach") appointed by the Lubavitcher Rebbe to serve with Rabbi Boruch Shlomo Cunin, director of Chabad on the West Coast in 1972. Bais Chabad of Simcha Monica was founded as one of ten Chabad institutions presented to the Rebbe for his 70th birthday. 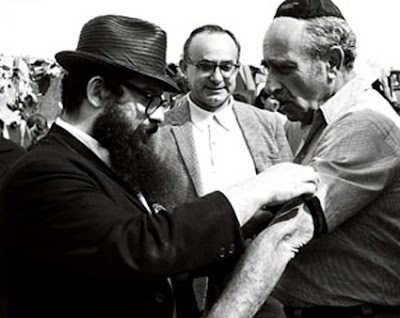 In addition to directing Chabad of S. Monica, Rabbi Levitansky was instrumental in opening Chabad's first Gan Israel Day Camp, and he helped establish the "release-time" program enabling children in public schools to receive a Jewish education. Rabbi Levitansky also helped launch Chabad's Talmud Torah and educational institutions in California, and was also active in opening Chabad in Long Beach. "Our thoughts and prayers are with his family as we mourn the tragic, untimely passing of our dear Rabbi Levitansky. He was a cherished friend and partner who worked tirelessly for the community -- and was greatly loved in return," said Rabbi Cunin. Rabbi Avrohom was referred to as ‘the glue’ of the west coast, his entire being given over for spreading yiddishkeit He was buried in Chabad's Mount Olive Cemetery, near the graves of his mother and brother. "The greatest tribute we can give to Rabbi Levitansky now is to follow his example," added Rabbi Cunin.